When is 2+2=4 more than just basic math? When it's part of Equity Storm! Balance equations in this educational online math game.Take basic math by storm!When is 2+2=4 more than just basic math? When it's part of Equity Storm! 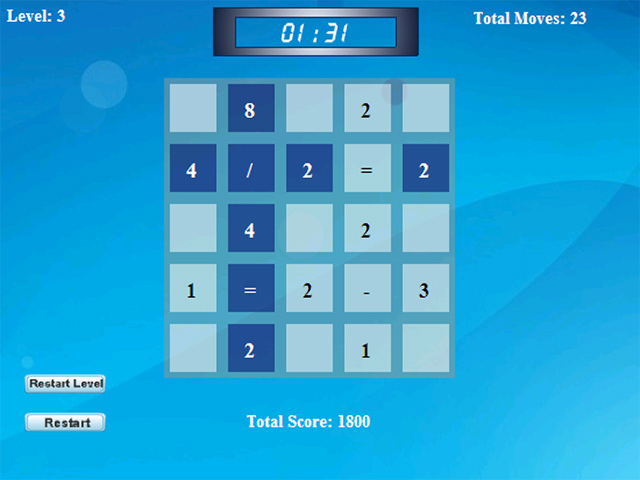 Test your basic arithmetic skills as you balance equations in this educational online math game. Drag the tiles so that the numbers on one side of the equation equal the other. Build forward, backward, horizontally, and vertically. Minimize moves for a better score. 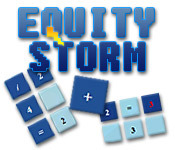 Brush up on your math when you play Equity Storm online for free.